My interest in internet governance issues was sparked when I coordinated a project on internet access for women in northern Nigeria in 2016 with the ultimate goal of bridging gender digital exclusion and promoting greater access to the use and benefits of internet to women. Following this experience, I began to apply to participate in internet governance forum events. Initially, I had little success, but my dream eventually came to fruition in August 2018 when I received an invitation to the 2018 African School on Internet Governance (AfriSIG). When I first heard about AfriSIG, I was very excited to apply. Even though I wasn’t sure that I would be selected to participate, I had confidence and hope that I would be invited to attend, especially with the support of my organisation, the Center for Information Technology and Development (CITAD). Being selected was indeed was a memorable moment for me. As a passionate advocate for internet governance issues who comes from a place where internet access for women and girls remains a challenge, I was sure that this event would help me build my capacity and improve the work we do at an organisational level by providing me with knowledge and skills to bring back to my community, region and country – I am happy to say that it did. Before AfriSIG officially began, we attended a two-day collaborative governance workshop on how to participate and manage multistakeholder discussions, which was facilitated by the Internet Society (ISOC). The workshop explored multistakeholder processes through different exercises on basic negotiation theory, establishing multiparty consensus and collaborative decision-making. It also allowed us to expand our understanding of different personal skills and tendencies in conflict and negotiation situations. Ultimately, we learned how to build a consensus that was fair to all stakeholders through establishing the Best Alternative to a Negotiated Agreement (BATNA). This particular workshop really changed my thinking on multistakeholderism. One important thing I learned is that, in negotiation, you can still win without defeating the other party. Then, AfriSIG started. On the first day, we were introduced to the “practicum”, huh! I was a bit scared when I heard about this activity, especially because I was given the challenging task of representing the government of Uganda in the negotiations. I went to bed thinking about how to handle such a huge responsibility but fortunately, after the overview and mapping of stakeholder teams, I became fully aware of my role and responsibilities. The first session started with a basic overview of internet governance from a narrow perspective as well as an explanation of the history of the internet in Africa. OMG! This is when I began to change my perception of internet governance and what it means. I was very happy when I was given a list of acronyms because that alone really helped me to fully understand all the sessions throughout the school. I also got to learn about the internet governance ecosystem and how internet governance functions at a national and regional level. Another thing worthy of mention was learning about internet architecture and its protocols, which challenged me to think about who governs the internet. It was exciting to learn about how names and numbers are managed globally, regionally and nationally, and to understand the role of Internet Cooperation for Assigned Names and Numbers (ICANN) and the African Network Information Center (AfriNIC). We also learned about the main cybersecurity principles and existing cybersecurity policies within the African context. As we discovered, these regulations are often ambiguous and confusing, which was an important takeaway for me that I brought to my role as a government representative in the practicum. The cybersecurity session, which raised questions about privacy rights, led into another very interesting, related topic: internet governance and human rights. This session started with an overview of internet issues, mechanisms and processes, during which we talked about the African Declaration on Internet Rights and Freedoms as well as other policies and regulations that have impacts on internet-related issues on the continent. We also had a panel discussion on Gender and Internet Governance and attended a presentation on Power Dynamics and the Gender Spectrum. During the comments and questions component of this session, there were heated arguments and debates. After listening to participants’ various views, we concluded that it is important for women to play an active role in internet governance and decision-making processes, and discussed possible ways for women to overcome gender-based violence. Another session was held on multistakeholder approaches to internet governance at the international and regional level with discussion on the different perspectives and power dynamics between various internet stakeholders. Finally, the last session was Emerging Issues on the Internet, which touched on fake news, misinformation and the responsibility of platforms in confronting these challenges. This panel discussion also explored the impact of other trends and developments, such as artificial intelligence, algorithms and the Internet of Things. Overall, it was an excellent experience, and I would like to thank the organising committee, faculty team, sponsors, fellows and conveners of AfriSIG for the knowledge shared. 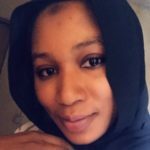 Harira Abdulrahman has been working with the Centre for Information Technology and Development (CITAD) in Kano State, Nigeria. 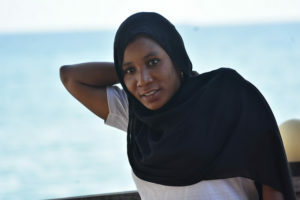 She is working on bridging the gender digital divide in northern Nigeria which seeks to improve women’s access to internet as well as monitor and counter hate speech online. She is interested in overcoming digital discrimination and marginalization of women and is working to see women make at least half of the internet regulators and decision makers globally. She is interested in research and travel.